As you read it before sometime that Rishi kapoor is loosing his endurance on Social media. Some people trolled his badly on twitter. 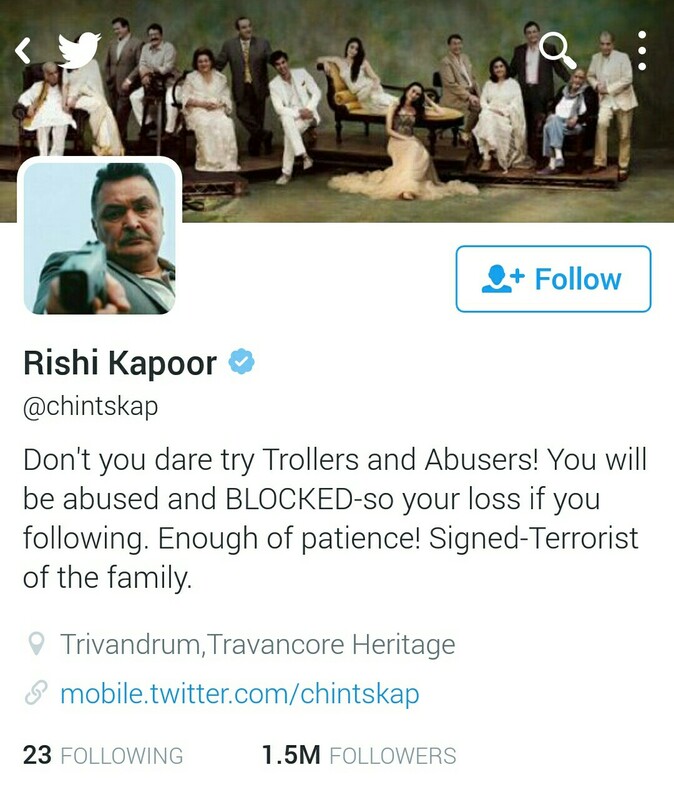 Rishi kapoor sent a direct message to all who trolled him badly. He wrote on his profile – “Don’t you dare try trollers and abusers! You will be abused and blocked – so your loss if you following. Enough of patience ! Signed – Terrorist of the family. 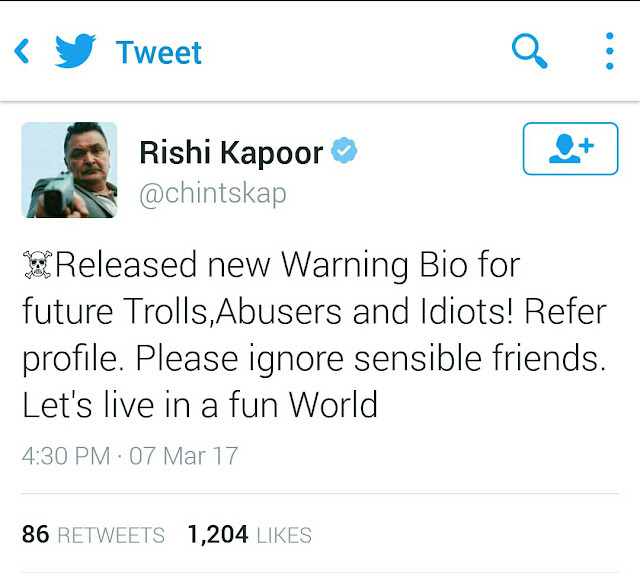 He has also updated his profile picture and also twitted like it – “Released new Warning Bio for future Trolls, Abusers and Idiots! Refer profile. Please ignore sensible friends. Let’s live in a fun World”.Well, some of the people are supporting him and some are criticizing for this.